San Agustin Church, built between 1587 and 1606, is the oldest church in the Philippines and the only building left intact after the destruction of Intramuros during the Battle of Manila. The present structure is actually the third to stand on the site and has survived seven major earthquakes, as well as the wars in Manila. The church remains under the care of the Augustinians who founded it. The San Agustin Church lies inside the walled city of Intramuros located in the capital city Manila, Philippines. It is the first European stone church to be built in the Philippines designed in Spanish architectural structure. The church also houses the legacies of the Spanish conquistadors, Miguel López de Legazpi, Juan de Salcedo and Martín de Goiti who are buried and laid to rest in a tomb, underneath the church. The church has 14 side chapels and a trompe-l'oeil ceiling. Up in the choir loft, note the hand-carved 17th-century seats of molave, a beautiful tropical hardwood. Adjacent to the church is a small museum run by the Augustinian order, featuring antique vestments, colonial furniture, and religious paintings and icons. 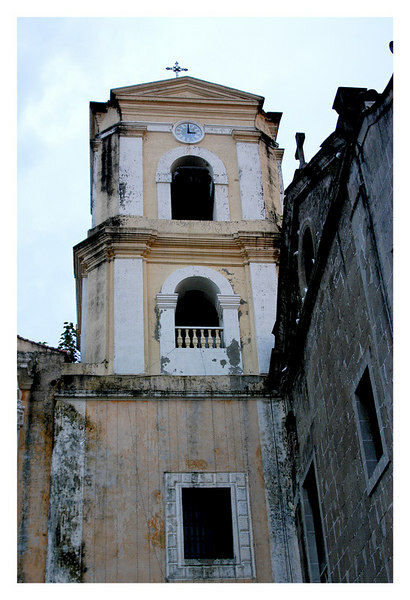 Together with three other ancient churches in the country, it was designated a World Heritage Site in 1993.